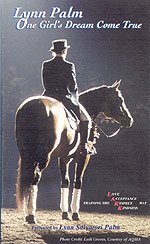 LYNN RECOMMENDS: If you are looking for inspiration or just a good moment to share with your horse friends, you will love this DVD. A true Partnership between a human and a horse! PPT - Agility CourseReg. Price $29.95 $25.46 On Sale! PPT - GroomingReg. Price $29.95 $25.46 On Sale!